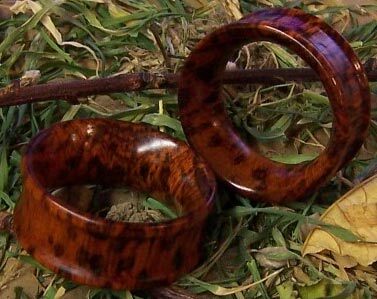 Snakewood (Piratinera guianensis) is found primarily in the rain forests of Suriname, a small South American country just north of Brazil and is one of the world's rarest woods having an average specific gravity of 1.30. This wood has been considered as the densest wood in the world and also one of the most expensive. 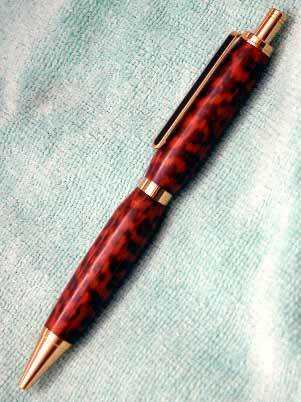 The coloring of Snakewood is quite unique and will add a beauty to any created wood product such as pens, knife handles, pool cues & inlay. 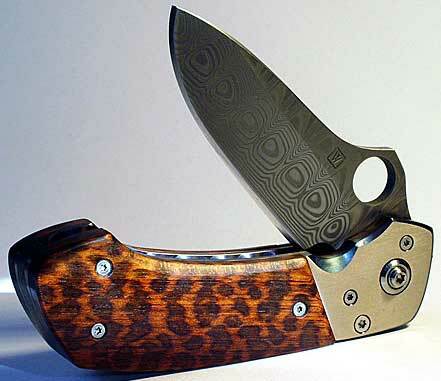 Snakewood turns well, however, the only down side to Snakewood is that the wood must be treated with great care to prevent checks and cracks. The wood needs to be stored and worked in a 'controlled' humidity and temperature area. During the working of the wood, it is recommended to seal the wood with thin CA glue after each step of the way to help prevent checks and cracks from developing. 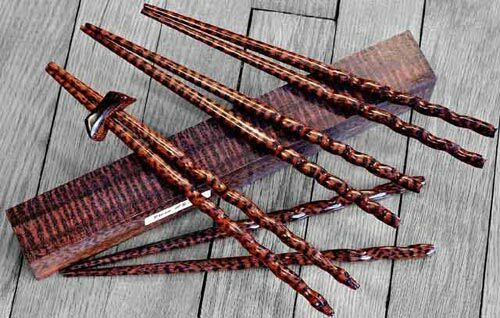 When finishing your Snakewood project, it is also recommended to first wipe the wood with a solvent before applying a finish.